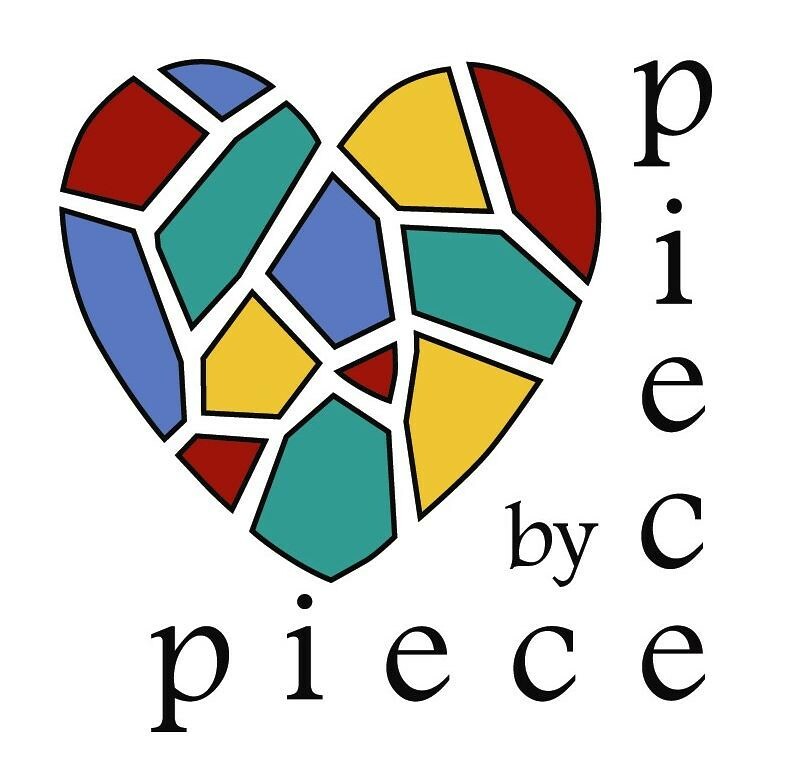 We celebrated different cultures at Piece by Piece, learning from each other and taking inspiration from our past and present through art in this Directed Studies workshop with instructor Leigh Adams. "Hand Mandala," Directed Studies, 3-ft diameter, repurposed glass. Each artisan was given a peace sign from a different culture, along with a description of its history. They then created a mosaic of the symbol. "Peace Panel," Directed Studies Artists, 22 in by 16.5 in, repurposed glass and ceramic.